Weekend DIY jobs have become the norm for families all around Sydney. While DIY is a great way to save yourself a bit of money and get hands on around the house, it’s not always the best idea. 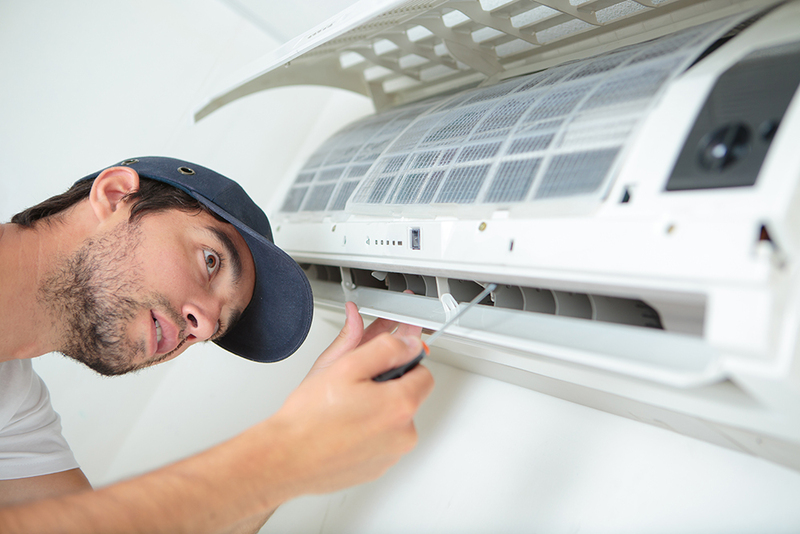 Installing an air conditioning unit may seem like an easy DIY job you can knock out in one day but without any experience this is a terrible idea. Why? There are a few reasons why you should never attempt to install your own unit. The experts at Apex Airconditioning have put our heads together and come up with our top reasons why you should never install your own air conditioning unit. DIY accidents are extremely common. The rise in DIY videos you can find on the internet means you have more access than ever to home improvement ideas. While this isn’t necessarily a bad thing, it can be if you attempt a job that you have no experience in. Don’t forget that some trades go to school for a number of years to perfect their skills and that’s not something you can do in a weekend. The most common injuries include ladder falls, electrocution and being injured by equipment. Trying to install an air conditioning unit requires you to drill and put holes in your walls and roofs. If you’re not 100% sure of what you are doing it becomes very easy to accidently drill or knock a hole in the wall that you don’t need. If you end up making a big mistake it can be very costly. Often times these mistakes take longer and more money to fix than it would have cost you to seek help from an experienced air conditioning technician in the first place. We’re not just talking an electric drill, we’re talking the sorts of tools only your air conditioning technician would have. Specialised equipment is often used to check for air leaks, maintenance problems and during the installation process. This is a good reason to leave your installation to the experts. They will be able to make sure your air conditioning unit is properly sealed with no leaks and that the air in your home is properly balanced. Once installed you may find your air conditioning unit isn’t working the way you would like it to but did you know that just by tinkering around with certain parts of your unit can see your warranty become null and void. Save yourself the trouble and get help from a professional. Causing your warranty to be waived due to inexperience may find you spending big dollars down the track. This is one of the most serious points. Playing with electricity when you are inexperienced is very very dangerous. Attempting to wire your new air conditioning unit can cause all sorts of trouble. Not only can you end up ruining your new unit but you can also cause yourself a lot of harm. Even if you do manage to get your air conditioning unit up and running, you may find electrical problems occur further down the track. Save yourself the trouble and potential health risk and get the experts to install your new air conditioning unit. Save yourself from injuries, accidents and spending excess money and let Apex Airconditioning install your new unit. All of our technicians are well trained and experienced, meaning you get superior service and quality workmanship. Contact us today if you would like to learn more about how Apex Airconditioning can help you!